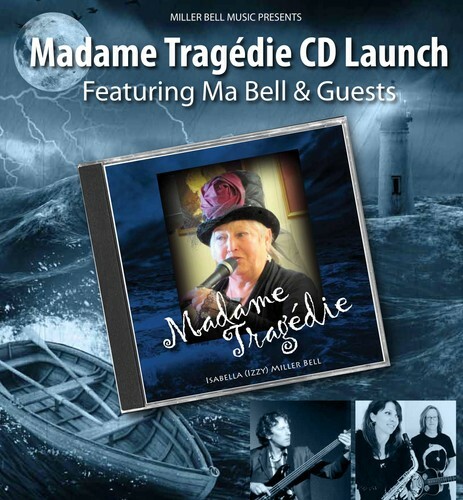 Scottish born Celtic Soul, Folk Blues Singer Songwriter Izzy Miller Bell aka Ma Bell stops off in Christchurch on route to Europe for a special 3-date Canterbury whistle stop tour to launch her latest album Madame Tragedie. 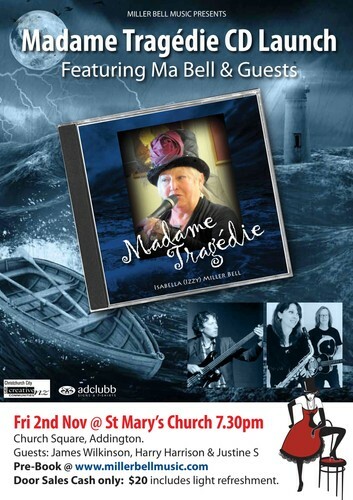 Hot off the Press the 12 track CD represents the best of Ma Bell's personal contribution to The Christchurch Pop Up Concert Series - a 7 year post EQ project that toured Canterbury and the South from 2011-2018 and offers a selection of original compositions and new arrangements which pay homage to her Celtic roots and musical influences that have shaped her as a folk blues artist, from classic blues and Jazz through to country and folk. Vintage Blue is Ma Bell's shade and it's obvious she has lived every minute of the stories told in the songs she sings. 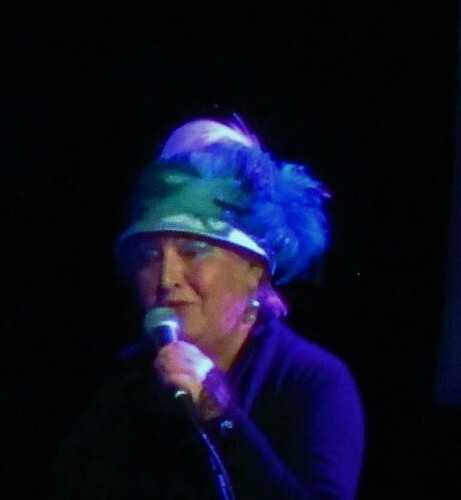 From Europe through Asia to Australasia on a 35 year musical odyssey she is an independent musical luminary who has performed on a variety of platforms - from the streets, schools and prisons to local, national and international stages. 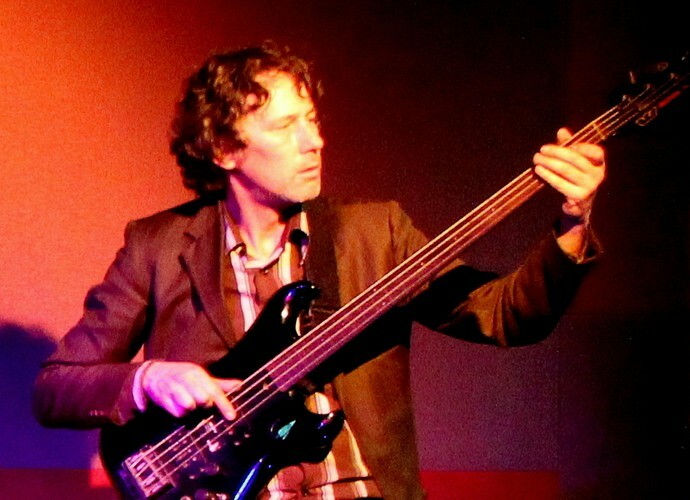 Izzy will be joined by a selection of superb acoustic roots musicians including James Wilkinson on harmonium, acoustic guitar and fretless bass. 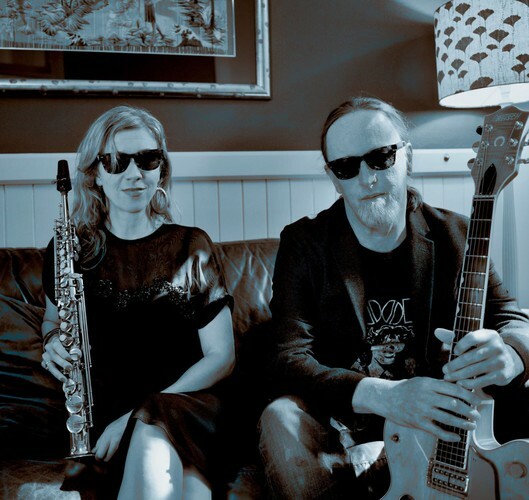 Guitarist, composer Harry Harrison on an assortment of multi- stringed instruments and Justine S on sax & flute. There are sure to be some pop in surprise guests through the night. Door sales cash only (inc light refreshment). Pre- bookings go to the website.